My husband’s old grandmother, the lady who taught me the small amount I know about canning, used to make a thing called freezer pickles. They weren’t canned, not even cooked, but were frozen, and always made about the same time as canning was going on, so I associate them with canning anyway. She put other vegetables in with the cucumbers and I never liked what she called freezer pickles. 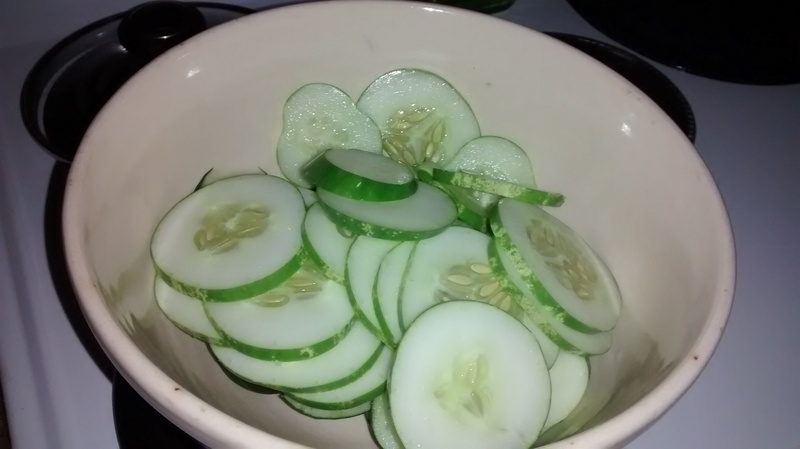 All summer I’ve been eating one of my favorite summer treats: cucumbers and onions. Those two veggies are sliced thin and put into a sugar/vinegar/salt solution and left sit about 24 hours to blend flavors. I like a little heat in some things, so I cut up a red chili in mine. You also add celery seed, and because I like dill and we had some growing, I’ve been adding dill to mine too. So, I had given some tomatoes and cukes to a friend who was canning a couple weeks ago, and she sent me some treats to return the favor. She sent a jar of her canned bread and butter pickles, and a frozen container of what she calls freezer pickles. I looked at that, and oh wow, it’s the same thing I’ve been eating for weeks in the summer for years, cukes and onions, and oh wow, who knew you could freeze that stuff! Maybe I’ve been under a rock and it’s a revelation to me while every other good gardener/food preserver already knew it, but now I know it too! So of course today I set out to make a batch of freezer pickles. When ours from the garden are all gone and the price of cukes goes sky high for ones that aren’t even good in the winter, I’ll pull out a container of summer treat! I used my mandolin slicer to get good even slices. That slicer was a gift from a friend and has dangerously sharp blades; so much so that he offered to get me band aids for Christmas. I promised I would not end up needing the band aids, cos honestly if I ever cut myself with this nifty tool, I’d be on my way to the ER for stitches, not just hunting a band aid. I’m very careful with my mandolin. I also used one of my favorite things in the kitchen, a large bowl from the 50’s (that’s the first half of that other century, 1950, lol) that belonged to my grandmother. 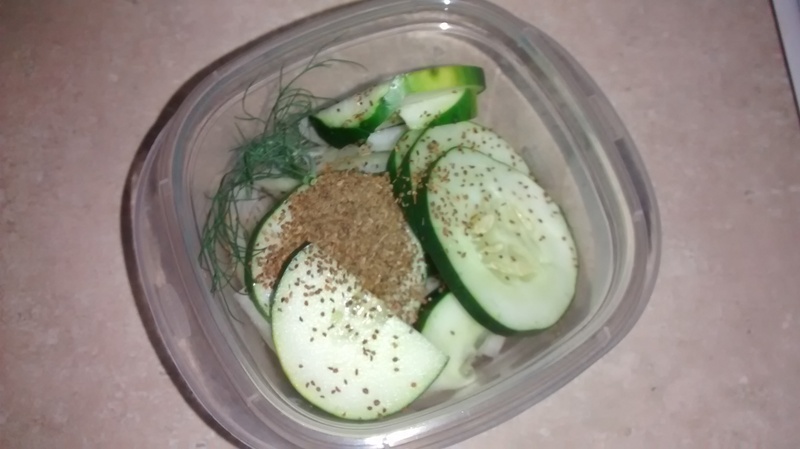 You put the cukes, onions, celery seed, dill and part of a chili in the little containers, and have the syrup mixed up and pour it in, almost covering the veggies. Then you set these in the fridge for about 24 hours and then put them in the freezer. (I remember that process from the other grandmother making her freezer pickles that way.) You should shake each container up good before it goes in the fridge, to get everything mixed in between the veggie slices. Then shake it again the next day, before it goes into the freezer. Freezer pickles, frozen cukes and onions, who knew……. you can laugh at me if you want to. I just know when I tasted the container my friend had made I knew I had to get some made before the good cukes are all gone. It’ll be a long winter, and having food from the garden preserved is a wonderful thing. My daughter in law and I are going to fool around with canning some things next year, and see how much of it I can remember, and get more tips and some recipes on sites on line. 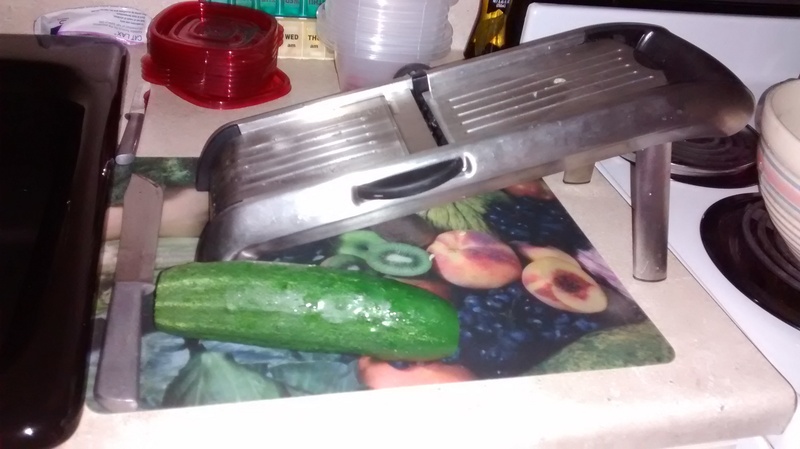 She wants to pickle jalapenos, and I’d do some tomato stuff. 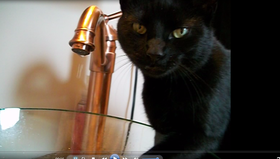 And who knows what else………. You learn something new every day! I have never hear of freezer pickles before. They would fit right into your diet Jackie. The solution I use is 2 c sugar, 1 c white vinegar, 1/4 c water, 1 tbs salt, 1 tbs celery seed. You could use less sugar and it would still be good, but this is great this way. Thank you for the solution recipe! I will for sure be trying this.